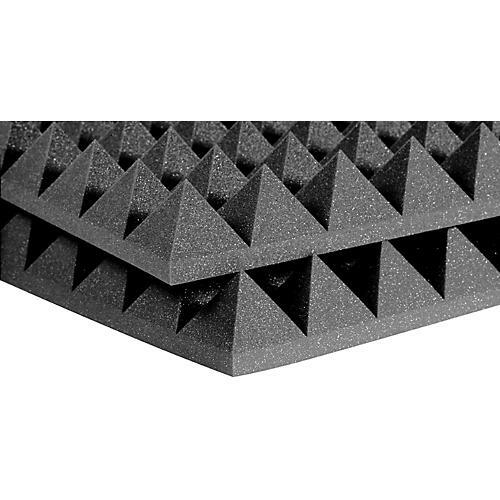 Having 4 sides exposed on each pyramid also yields more sound wave diffusion, which is desirable in some spaces. Thus, 4" acoustic Studiofoam Pyramids will yield less overall dryness than 4" Studiofoam Wedges. These are in the popular charcoal finish.